The Hofbrau Brewery makes some of the finest beer available in Germany, Europe. 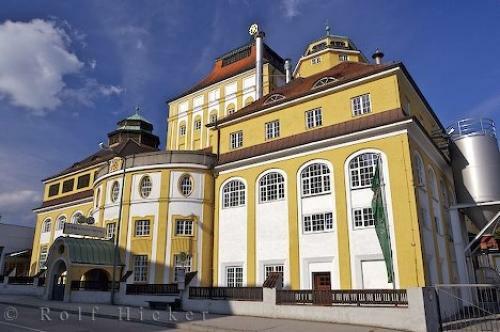 Photo of the Hofbrau Brewery outside of Munich, Germany. ... On your visit to the Hofbrau Brewery in Germany you can bring home a variety of beer collection souvenirs that are great for gifts or as a token of your trip.Hofbraeuhaus, Hofbrau brewery, Freising, Germany, Bavaria, Europe, Europe 2006. I photographed this photo with the digital SLR camera model Canon EOS-1Ds Mark II, aperture of f/10.0, exposure time of 1/200 sec. on ISO 100, as always I used a original Canon Lens, the focus lenght for this picture was 28mm.